1. The only thing worse than trying to help a woman with amnesia remember her name and life is trying to help a dead woman with amnesia remember hers. 2. Be careful what you wish for—you might just get it . . . and the reality will probably not be anything like the fantasy. 3. The person you think is your enemy could just turn into a friend who'll do anything to save you. 4. The scariest thing in the world isn't ghosts or rogue vampires bent on murder—it's falling in love. 5. Explaining why you have a skunk curled up in your arms to your mom and your old best friend is as easy as eating a brownie while brushing your teeth. 6. We all make mistakes, which is why it's so important to practice forgiveness. 7. The only thing worse than a pissed-off shapeshifter is a pissed-off shapeshifter in love. 8. Sometimes the earth really does have to open up and swallow you whole before you can accept the truth that's right in front of you. 9. Vampires have no sense of humor . . . especially when they get turned into a kangaroo. 10. Free will gives us choices, but even making the right choices can't change destiny . . . and learning to accept that can be the most painful lesson of all. 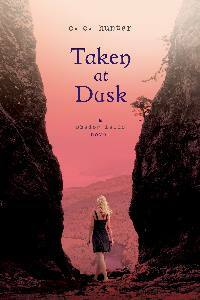 Want a chance to win Taken at Dusk? Leave a comment with your email, saying one thing you would like to learn from Taken at Dusk. Be creative! Seizing the bull by the horns!!! I'm definitely a wishy washy person who tends to let others decide for me. i want to learn about the aspect of explaining a story that most people would to scare to cuz they thing people will think they are insane. I would love to learn how to be more brave. I feel like I hide behind a curton of fear when it comes to telling people how I really feel. That's what I would like to learn. What I would like to learn from Taken at Dusk is how to know what my heart is really telling me about certain people and things. Like, if I am in love with him and not him or if this is what I really want or don't want. Maybe Kylie will find out who she truely wants to be with for the rest of her life (not that she should rush). From the book I would like to learn what Kylie is, but for myself I would like to leatn to be as brave as Kylie and the rest of the characters are in the series. 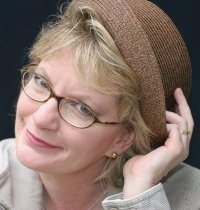 as for the book i want to learn more about her passed i think that helps me understand better why she is who she is. Making decisions are hard, I would love to learn to be okay with the decision that I make to not look back and regret anything. Thanks for the great giveaway. Can't wait to read this book. I really want to figure out what Kylie is! I would love to learn how to completely be myself around those who I think might not accept me! I would like to learn how to choose between two amazing guys! And just more about Kylie and all of her friends in the book. This is my favorite series!!! I want to learn who Kylie will choose to be with! Lesson #5 is so cute! I'd like to learn what it means to fall in love in an extra-ordinary world. I've been waiting to learn what kinda sup Kylie is!!!! I would like to learn/practice forgiveness like Kylie. I would like to learn and/or know if this vampire turned kangaroo would still have fangs? Great story line and awesome plots,Kylie Galen is a piece of work!!! One lesson I'd like to learn from "Taken at Dusk" is how to stand up for things I believe in most and be happy with my decision, not feeling embarrassed or that I have to be silent on the issue at hand. I'd love to learn what it's like being friends with so many different creatures, like Kylie is in the novel. I would love to learn how Kylie deals with trying to live up to so many peoples' standards. What I'd love to find out even more than that is how her relationships with friends, "the boys", and family will change and grow in the next book! Thrilled about Taken at Dusk. I cannot wait until I can finally get my hands on a copy one way or another! That relationships are hard and don't magically work out no matter how much you care for the other person; you have to put time and effort into any relationship, otherwise it will wither away and die. I'd like to learn what motivates these characters to stick together when they're so different from each other and their relationships aren't easy.